It must have been around 1998 when I first heard of the ASPN. David Kline told me about the Society during one of his European trips and said that it might be worthwhile for me to attend the yearly meeting. Being active in the field of nerve surgery I was intrigued, focused meetings on the peripheral nervous system were scarce in those days. I attended my first meeting in 1999 in Cancun, Mexico and was instantly hooked. Since then, I have attended almost every meeting and each January has become the time of year when I update my knowledge and learn of new developments in the field. Additionally, I have always looked forward to presenting the results of our Leiden studies in order to hear the opinions of esteemed colleagues. The 2017 Annual Meeting will be my seventeenth meeting. Moreover, it will be the third time I have travelled across the globe to Hawaii. One might wonder, “Why cross the ocean every January? Why bother travelling so far, sometimes more than 20 hours at a time?” The reasons are not difficult to give. In my opinion, the ASPN Annual Meeting is the best meeting focused only on the peripheral nerve. The meeting provides two and a half days of high level science and is a unique blend of basic and clinical expertise. Specialists whose fields historically have remained separate gather to learn from one another including those in orthopedics, plastics, neuro and rehab, molecular cell biology and so on. All these specialists contribute solutions and different perspectives to culminate a wealth of knowledge which helps lead the way for new developments in the field. Aside from the science, experienced members of the Society organize excellent seminars in which basic background, current standards and future perspectives are offered first hand. In addition to this formal exchange, there is an informal exchange of knowledge as well and the latter is as important as the former. Great care is taken to organize the meeting in a splendid venue with optimal weather conditions in order to provide the ideal environment and mind set. Enjoying the out of doors or sitting in the shade with colleagues from around the globe to talk about peripheral nerve (and of course much more) is a unique and valuable component of this meeting. The ASPN is a healthy and flourishing organization with over 250 members worldwide. For years, the main objective of the ASPN has been the organization of the yearly meeting. The question I asked myself is whether this is enough. Can and should the ASPN do more to push the field forward? And if the answer is yes, what should then be done? One option is to create networks within the society based on specific areas of interest, subdivisions composed of members with recognizable profiles to facilitate focused interaction. In order to explore this path, membership was sent a survey in order to gain a better understanding of professional profiles and interests such as trauma, entrapment, tumors, brachial plexus, pain, pediatric, rehabilitation, basic research as well as other areas. The results of the survey will be discussed during the upcoming meeting and it is my hope that it will provide a base for a discussion about the future direction of the ASPN. In 2016, the ASPN has been in contact with various Societies from around the world including Japan, South America, Australia and Europe to raise awareness of the ASPN. The first steps have been taken to setup collaborations with these international groups. Members of the European Society for the Study of Peripheral Nerve Repair and Regeneration plan to attend the 2017 Meeting and the World Federation of Neurological Surgeons even announced the ASPN on their website. It is less than 2 months to the 2017 meeting. 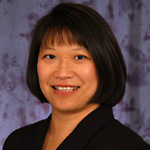 Lynda Yang and the Program Committee worked hard to put together an exciting program. The ASPN received 135 abstracts, 133 of which were invited to present in oral and poster presentations during the meeting. We are pleased that Christophe Oberlin, MD, PhD, from Paris, France is our Invited Guest Speaker for 2017. Needless to say, he is one of the most well-known experts on nerve transfers and I greatly look forward to his presentation. In conclusion, science, sun and discussion all take place during the ASPN 2017 Meeting. Boost your batteries with inspiration and creativity. Be smart, pack your suitcase, and meet colleagues who will become friends for life. Amputations are a relatively common occurrence in this country. A recent study showed that approximately 1.6 million people are currently living with the loss of a limb, with this value expected to double by the year 2050 (1). Although the number of amputations caused by cancers and trauma has decreased in recent years, the number of amputations secondary to dysvascular disease has increased (2). Also, despite advances in medicine, amputations are still associated with significant morbidity including reduced function in daily life, phantom limb pain, and neuroma formation (3-7). The need for improved and reliable treatment options to better address these common problems that amputees experience is of interest. Targeted Muscle Re-innervation (TMR) is a surgical technique recently pioneered to aid in functional gains through achieving amplified motor nerve potentials to create and refine movements in advanced prosthetics (8-12). 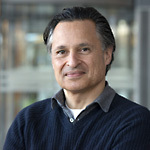 These prosthetics are able to simultaneously operate numerous complex functions through the amplified motor nerve potentials and provide a more intuitive control than previous prosthetic devices by using signals intended for the missing limb to control analogous functions of the prosthesis (9). The procedure involves the transfer of major peripheral nerves to “target” motor nerve sites which can thus generate useable signals to provide advanced prosthetic control. 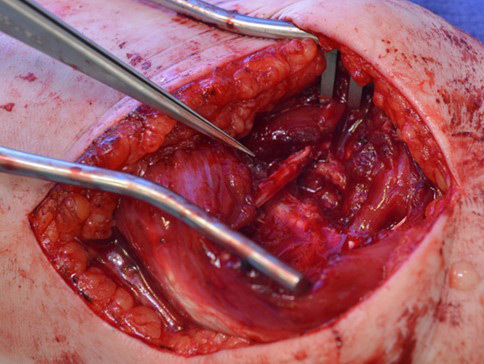 Additionally, this nerve transfer procedure has shown an added benefit of improving amputation related pain secondary to neuroma formation (13). Besides the benefit of refined motor control, TMR also has shown the ability to provide sensory feedback to the amputee. This could remove the need for constant visual feedback to monitor the movement of the prosthesis allowing for a potential closed-loop prosthetic in the future (9, 14). TMR involves identifying the parent peripheral nerves within the remaining stump of an amputated upper limb (Figure 1) or lower limb (Figure 2), resecting any neuromas if present, and attaching these nerves to target motor nerve branches innervating certain muscles in the area (8-12). These muscles are typically local muscles but can also be supplied via free tissue transfer of innervated muscle if desired or necessary (15). Adipofascial flaps have been typically inserted between the muscle bodies to provide for insulation and to allow spatial differentiation of the myoelectic signals (11). By providing the damaged peripheral nerve with a target to which it can grow, further painful or symptomatic neuroma formation is prevented and greater control of myoelectric prostheses is allowed (8-12). Following this procedure, patients typically spend at least one night within the hospital for observation and can begin myoelectric testing, prosthesis fitting, and intensive physical therapy for prosthetic training in approximately 6 months (11). Exciting directions in the future for TMR include its viability as an outpatient surgery, characterizing and analyzing the motor unit and sensory potentials created after re-innervation, extending this procedure to more distal amputations, and continuing to improve the advanced prosthetics that can be used. This new surgical technique provides a bright future for a number of patients experiencing the morbidity associated with amputations. Although cost of the advanced prosthesis is prohibitive for some patients, the reduction in amputation related pain and potential for increased function in activities in daily living make this a valuable procedure for this patient population and our social system. Figure 1. A. Major peripheral nerves identified in a transradial upper extremity amputation: UN - ulnar nerve, MN - median nerve, SRN - superficial radial nerve. B. Same transradial case with the following nerve transfers and coaptations: 1) Superficial radial nerve to the anterior interosseous nerve (SRN to AIN), 2) the median nerve to a motor branch of the flexor digitorum superficialis (MN to mFDS), and 3) the ulnar nerve to a motor branch of the flexor carpi ulnaris (UN to mFCU). Figure 2. A. Nerve dissection in a lower extremity amputation with (from left to right) the tibial nerve, left motor branch to the medial gastrocnemius, right motor branch to the medial gastrocnemius, and the common peroneal nerve tagged. The fifth, untagged nerve shown in this image is the superficial peroneal nerve (second from the right). B. Nerve dissection showing the tibial nerve coapted into the left medial gastrocnemius motor branch and the superficial peroneal nerve coapted into the right medial gastrocnemius motor branch. C. Lower extremity below knee amputation pre-coaptation. Ziegler-Graham K, MacKenzie EJ, Ephraim PL, Travison TG, Brookmeyer R. Estimating the prevalence of limb loss in the United States: 2005 to 2050. Arch Phys Med Rehabil. 2008;89(3):422-9. doi: 10.1016/j.apmr.2007.11.005. PubMed PMID: 18295618. Dillingham TR, Pezzin LE, MacKenzie EJ. Limb amputation and limb deficiency: epidemiology and recent trends in the United States. South Med J. 2002;95(8):875-83. PubMed PMID: 12190225. Jensen TS, Krebs B, Nielsen J, Rasmussen P. Immediate and long-term phantom limb pain in amputees: incidence, clinical characteristics and relationship to pre-amputation limb pain. Pain. 1985;21(3):267-78. PubMed PMID: 3991231. Pierce RO, Kernek CB, Ambrose TA. The plight of the traumatic amputee. Orthopedics. 1993;16(7):793-7. PubMed PMID: 8361918. 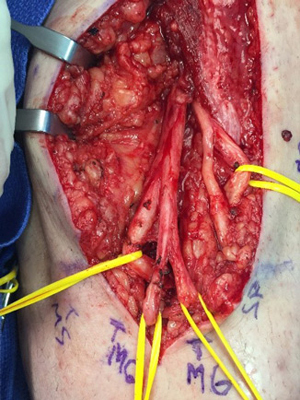 Ducic I, Mesbahi AN, Attinger CE, Graw K. The role of peripheral nerve surgery in the treatment of chronic pain associated with amputation stumps. Plast Reconstr Surg. 2008;121(3):908-14; discussion 15-7. doi: 10.1097/01.prs.0000299281.57480.77. PubMed PMID: 18317139. Schley MT, Wilms P, Toepfner S, Schaller HP, Schmelz M, Konrad CJ, et al. Painful and nonpainful phantom and stump sensations in acute traumatic amputees. J Trauma. 2008;65(4):858-64. doi: 10.1097/TA.0b013e31812eed9e. PubMed PMID: 18849803. Kent ML, Hsia HJ, Van de Ven TJ, Buchheit TE. 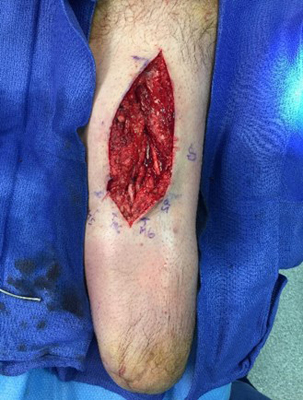 Perioperative Pain Management Strategies for Amputation: A Topical Review. Pain Med. 2016. doi: 10.1093/pm/pnw110. PubMed PMID: 27402960. Hijjawi JB, Kuiken TA, Lipschutz RD, Miller LA, Stubblefield KA, Dumanian GA. Improved myoelectric prosthesis control accomplished using multiple nerve transfers. Plast Reconstr Surg. 2006;118(7):1573-8. doi: 10.1097/01.prs.0000242487.62487.fb. PubMed PMID: 17102730. Kuiken T. Targeted reinnervation for improved prosthetic function. Phys Med Rehabil Clin N Am. 2006;17(1):1-13. doi: 10.1016/j.pmr.2005.10.001. PubMed PMID: 16517341. Kuiken TA, Li G, Lock BA, Lipschutz RD, Miller LA, Stubblefield KA, et al. Targeted muscle reinnervation for real-time myoelectric control of multifunction artificial arms. JAMA. 2009;301(6):619-28. doi: 10.1001/jama.2009.116. PubMed PMID: 19211469; PubMed Central PMCID: PMCPMC3036162. Gart MS, Souza JM, Dumanian GA. Targeted Muscle Reinnervation in the Upper Extremity Amputee: A Technical Roadmap. J Hand Surg Am. 2015;40(9):1877-88. doi: 10.1016/j.jhsa.2015.06.119. PubMed PMID: 26314220. Cheesborough JE, Smith LH, Kuiken TA, Dumanian GA. Targeted muscle reinnervation and advanced prosthetic arms. Semin Plast Surg. 2015;29(1):62-72. doi: 10.1055/s-0035-1544166. PubMed PMID: 25685105; PubMed Central PMCID: PMCPMC4317279. Souza JM, Cheesborough JE, Ko JH, Cho MS, Kuiken TA, Dumanian GA. Targeted muscle reinnervation: a novel approach to postamputation neuroma pain. Clin Orthop Relat Res. 2014;472(10):2984-90. doi: 10.1007/s11999-014-3528-7. PubMed PMID: 24562875; PubMed Central PMCID: PMCPMC4160494. Hebert JS, Chan KM, Dawson MR. Cutaneous sensory outcomes from three transhumeral targeted reinnervation cases. Prosthet Orthot Int. 2016;40(3):303-10. doi: 10.1177/0309364616633919. PubMed PMID: 26932982. Bueno RA, French B, Cooney D, Neumeister MW. 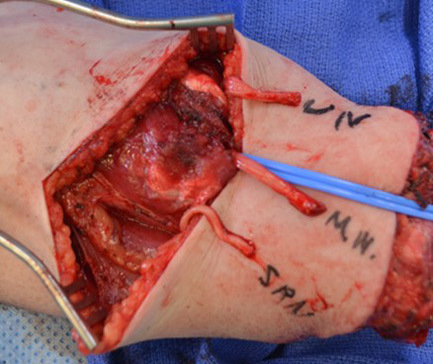 Targeted muscle reinnervation of a muscle-free flap for improved prosthetic control in a shoulder amputee: case report. J Hand Surg Am. 2011;36(5):890-3. doi: 10.1016/j.jhsa.2011.02.020. PubMed PMID: 21527143. There are no relevant financial disclosure for any of the authors regarding the current topic. Drs. Hagan and Valerio are consultants for AxoGen. The purpose of the 2017 Annual Meeting is to provide continuing medical education for practicing neurosurgeons, plastic surgeons, orthopedic surgeons, as well as residents in training / postgraduate fellows and advanced practice providers including nurses, physician assistants, and clinical specialists. I would like to thank all who submitted abstracts to the meeting as the number of submissions this year ranks the highest ever. Therefore, from Friday to Sunday, the combination of scientific paper sessions, instructional courses, and multiple scientific panel podium presentations that integrate with our colleagues in AAHS and ASRM will address topics from pain in peripheral nerve to new applications for nerve transfers, in addition to nerve entrapment, tumors, trauma, and imaging. On Sunday, the ASPN President, Martijn Malessy will deliver the Presidential Address entitled: "Top 10 Nerve Problems I Would Like To See Solved", followed by Christophe Oberlin’s Guest Speaker Presentation entitled: "New Attempts in Nerve Transfer." This session will prove enlightening for both novice and experienced surgeons. The program will conclude with the Annual Business Meeting. The "Big Island" is a welcoming venue at which to enjoy warm weather in January. Many activities will be available for your family and friends at the Hilton Waikoloa and surrounding areas. The 2017 ASPN Annual Meeting will be an enjoyable learning experience, and I look forward to seeing you in Hawaii. As many of you may know, AxoGen was founded in 2002 with the goal of helping patients by bringing innovation to peripheral nerve repair technologies. AxoGen continues to remain passionately committed to improving outcomes for patients with peripheral nerve injuries. As part of that effort we have focused in some key areas to build awareness of the importance of peripheral nerve repair. These include: helping to grow the body of clinical evidence in nerve repair; supporting peripheral nerve repair education to ensure that training focuses on the guiding principles of good nerve repair; and investing in the growth of our organizations footprint so that our representatives are well trained, knowledgeable and available to you when you need them. Furthermore, we are excited to have a pipeline of innovative technologies that we believe will help to solve some of the existing challenges in nerve repair and provide patients and surgeons with the best possible solutions. In 2016 we were excited to see several new publications on the clinical outcomes of our surgical implant portfolio. 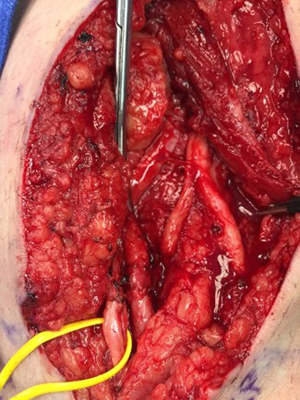 The RANGER® investigator team has published new data looking at outcomes related to large diameter processed nerve grafts, mixed and motor nerve repairs and some early comparative data to conduit and autograft. We have also seen several non-sponsored papers on outcomes for our 70mm long processed nerve allografts and our nerve connector and our nerve protector. Currently there are 39 peer-reviewed publications on clinical outcomes and treatment recommendations for our surgical portfolio. We plan to continue to help grow the body of clinical evidence as our sponsored clinical studies RANGER® and RECON® continue to enroll. We have been very fortunate to be able to offer focused peripheral nerve training opportunities in both the US and EU. We have partnered with a great group a faculty who designed a curriculum that focuses on good nerve repair techniques, overcoming common challenges, decision pathways and an intensive hands on lab experience. By the end of 2016 we will have completed 13 of these programs. Interest in peripheral nerve education has been extremely high, both the hand fellows and attending level nerve courses have filled within weeks of opening registration. We look forward to offering these courses again in 2017. Currently, we are working hard to grow our portfolio of peripheral nerve solutions. Earlier this year we launched the AcroVal™ Neurosensory & Motor Testing System. The AcroVal system allows for precise evaluation of sensory and motor outcomes, using the Pressure Specified Sensory Device, as well as integrated grip and pinch strength measurement tools. Assessing functional deficits, recovery outcomes and tracking trends over time are an important part of managing peripheral nerve injuries. We believe this tool provides a single source system to provide high quality evaluations, and are excited to offer this unique measurement tool. In addition to AcroVal, we are excited to be launching an innovative new addition to our portfolio. We are getting close to the official launch, so more details will be coming soon and we look forward to sharing it with everyone at the 2017 annual meeting. This case consists of a 49 year-old male who presented to an outside institution with a T3, N0, M0 squamous cell carcinoma of the right parotid gland. His past medical history is significant for hyperthyroidism and hydrocephalus with placement of a VP shunt in 2003. In June 2013, he underwent a right superficial parotidectomy at the outside institution. Dr. Peled: Dr. Janevicius, If you use code 64721, does that cover a superficial epineurectomy (e.g. is this the same as "external neurolysis") for the median nerve? Dr. Peled: On occasion, we find significant synovial thickening around the tendons within the carpal tunnel and similar tissue around the very superficial surface of the median nerve. In what case would you be able to code a synovectomy separately? Dr. Janevicius: If one performs a synovectomy for flexor synovitis, then report the synovectomy code only, as the flexor retinaculotomy is considered part of the approach and is not separately reportable. If the patient has documented carpal tunnel and flexor synovitis, and, in addition to synovectomy, one does a median nerve exploration and neurolysis (e.g., epineurotomy/epineurectomy, exploration of the motor branch, etc. ), then one can report both codes. This would be an unusual circumstance. Clear documentation in the operative report is crucial, but realize that some payers still will not reimburse for both. Dr. Peled: Given the focus of our society, its membership does peripheral nerve surgery fairly frequently. In multiple conversations with multiple members, there are many members that do not feel the need to use the operative microscope for internal neurolysis procedures. They use high-powered loupes which can go anywhere from 3.5X-6X and they find this equipment sufficient based upon their experience and comfort levels. The conventional wisdom seems to be that the reason to use code 64727 is to account for the extra work opening up the nerve itself and dissecting out the individual fascicles for repair, reconstruction, etc. In my experience, the amount of post-operative care often required when doing an internal neurolysis is greater than when doing a simple decompression/neuroplasty. That being said, the code stipulates "use of the operative microscope". The issue here seems to be one of ‘the letter of the law' vs ‘the intent the law'. What is your opinion? Dr. Janevicius: The 64727 code definitely requires the use of the operating microscope. That's the letter of the law and the intent. Anything you do with the loupes, even though you feel it is extra work, is included in the base code. How 'bout a recurrent Dupuytren's? LOTS of extra work, but it's all included in the 2612X series. You win a few, you lose a few. Dr. Peled: Any other pearls for coding carpal tunnel procedures? Dr. Janevicius: Check out the Correct Coding Initiative (CCI) and see the edits for 64721 (Guyon's canal, deQuervain's, etc.). You might want to list those codes and instruct the readers to append 59 to the bundled codes.